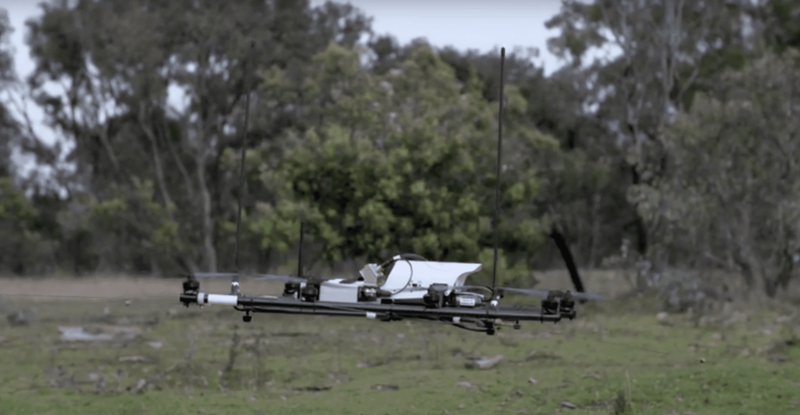 Australian researchers fitted a UAV with a custom-built miniature receiver and antenna to provide real-time information on radio-tracked wildlife. Researchers at The Australian National University (ANU) and The University of Sydney developed a radio-tracking drone to locate radio-tagged wildlife. Lead researcher Debbie Saunders from the ANU Fenner School of Environment and Society said the drones have successfully detected tiny radio transmitters weighing as little as one gram. The system has been tested by tracking bettongs at the Mulligan’s Flat woodland sanctuary in Canberra. The new system, funded by an ARC Linkage Project Grant and Loro Parque Foundacion, has been built and tested during the last two and a half years with Robert Fitch and his team at the University of Sydney. The robot consists of an off-the-shelf drone or unmanned aerial vehicle (UAV) as well as custom-made receivers used to map wildlife live on a laptop.